Classic surroundings capture the essence of a New England yacht club at this upscale resort. Its comfy chairs, hardwood floors and shafts of sunlight streaming into a welcoming lobby invite you to linger. 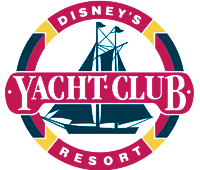 Here you’ll enjoy luxurious accommodations as well as delightful amenities shared with Disney’s Beach Club Resort — a sandbottom pool, health club, and full service marina. There’s even a promenade with direct access to Epcot® as well as the unique shops and restaurants at Disney’s BoardWalk Resort. 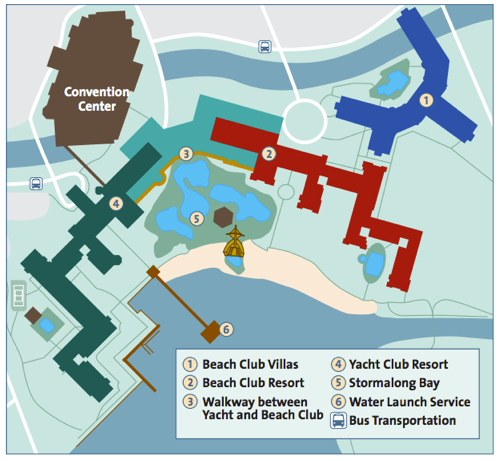 Disney's Yacht Club Resort is conveniently connected by water taxi, bus or walking paths to numerous Disney restaurants within the Epcot® Resort area. All hands on deck for a health and fitness regimen that guarantees that you are in Ship Shape! Located at Disney's Yacht and Beach Club Resorts, the Ship Shape Health Club not only offers state-of-the-art workout equipment but spa services to pamper those that prefer rest and relaxation while on deck. Our trained staff of health and fitness experts is available to assist you with your health and fitness needs. Call for reservations at (407) 938-3256, 8:00 a.m. to 8:00 p.m. daily.